D&H Air Conditioning and Heating is pleased to partner with Long Realty and participate in the Long Advantage program. At D&H Air Conditioning we understand selling or buying a home is one of the largest financial decisions you’ll ever make. This is the reason why Long Realty and us have partnered to offer you a very special discount coupon for an HVAC inspection. Whether you want to add value when selling a home, or protect yourself from expensive future repairs when buying a home, call D&H Air Conditioning & Heating for a complete inspection of your heating and cooling system. And 16 other important parts of your system! You will receive a detailed analysis explaining all of our findings and recommendations. D&H inspects all makes and models. 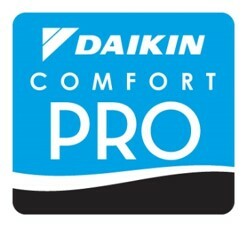 D&H is a Daikin Comfort Pro Dealer. Contact us for a complete inspection appointment at 520-408-2665. Use this special coupon, offered as a Thank You by Long Realty and D&H. Read our clients' reviews on GOOGLE! D & H Air Conditioning & Heating is licensed, bonded and insured. We have been operating continuously in Tucson for 57 years.